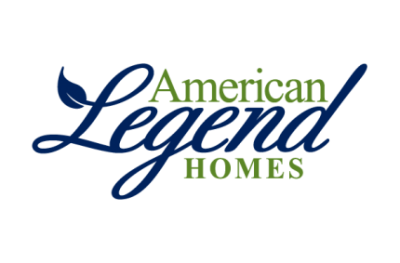 American Legend Homes is a leading builder of new homes in the Dallas and Fort Worth, Texas metroplex. They offer energy-efficient certified green built homes at affordable prices. You will find a large selection of new homes that are move-in ready. Flexible floor plans allow you to select the perfect home style that suits your unique lifestyle. American Legend Homes also build low-maintenance garden homes and luxurious town homes. You can depend on quality craftsmanship in every area of your new homeFinancing is available at low interest rates. You will find a generous warranty on every new home they build. Whether you are searching for a condo or a single-family home, you will find a new home conveniently located to popular city attractions. Discover the convenient online photo gallery to choose your new floor plan. Working and living in the Dallas and Fort Worth, Texas metroplex offers an urban lifestyle unmatched anywhere else. Whether you are looking for family activities or exhilarating nightlife, you will find it here in the metroplex. You will find miles of lakes, trails and parks to suit the needs of anyone in the family. The metroplex offers award-winning museums, zoos and theme parks. You will find new homes downtown or in the surrounding cities. Getting around the metroplex is easy with the light rail, trains and bus transportation services. The DFW metroplex offers an abundance of parks and recreation centers. They offer programs for senior citizens, youth sports and adult softball. The Parks and Recreation Department maintains miles of lakes, parks and jogging trails. You can easily sign up for a variety of classes online. They offer exercise programs, summer camps for kids and wellness programs for the entire family. The DFW metroplex is home to the Dallas Cowboys and the largest domed stadium in the world. You will find professional basketball, baseball and hockey games to enjoy. Concerts and festivals are held every weekend in various places in the metroplex. World-class dining and shopping can be found within minutes. The metroplex offers both public and private schools for students of all ages. The DISD features a website where parents and students can find lunch menus, class schedules and school district information. Many private schools offer a unique learning experience.